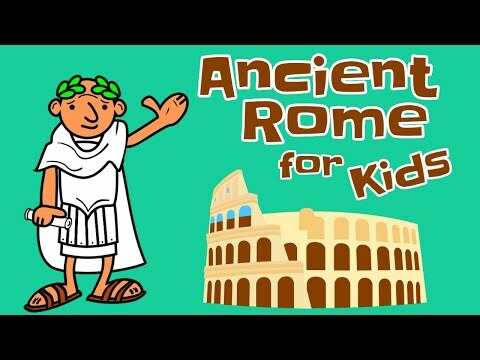 Roman Empire Educational Video For Kids....! 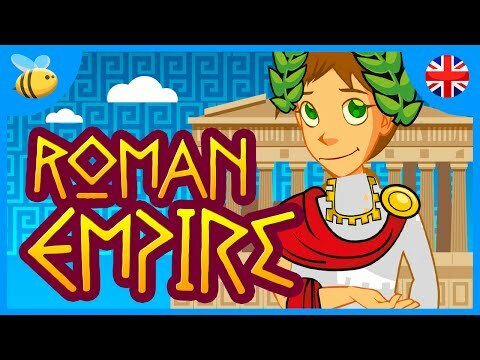 In this video we are going to know everything about the roman empire. As we always tell you, it is very important to know the past, to understand the present and improve the future. ▶SUBSCRIBE TO HAPPY LEARNING! 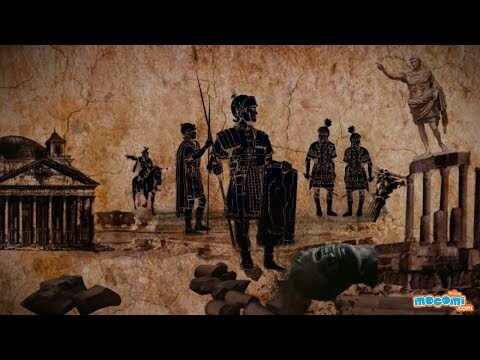 http://bit.ly/HappyLearningTV ▶Web site: https://happylearning.tv/en/ ▶Follow us on Facebook: https://www.facebook.com/HappyLearningTv Recommended video: The Elephant https://www.youtube.com/watch?v=qZrXDlmX0FY Legend has it that Rome was founded by Romulus and Remus, two brothers who had been raised by a wolf. But that's just a legend ... Rome was founded almost 2800 years ago with the union of several villages in Italy. At first it was a monarchy, those who commanded were the kings, but later it became a republic. Do you know what that is? A republic is a form of government where there are no kings but politicians make the decisions they think are convenient. 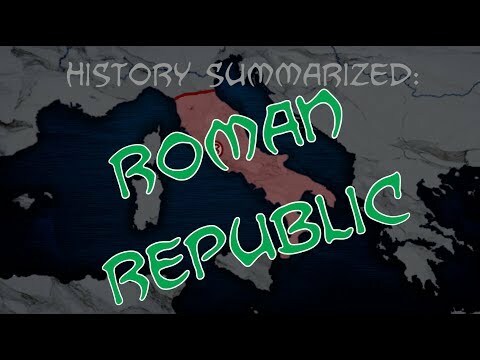 The Republic of Rome lasted several centuries until about two thousand years ago when, what we know as the Roman Empire, began. In an Empire, all power is in the hands of an emperor who is like a King of kings. The Romans conquered all the nations of the Mediterranean: Greece, Egypt, Syria, France, Germany and also the Iberian and Celtic people of Hispania. They even arrived in Britannia, now known as England. 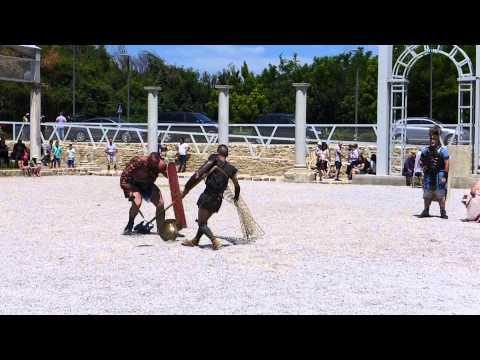 But… How did the Romans live? Roman society was divided into several groups. 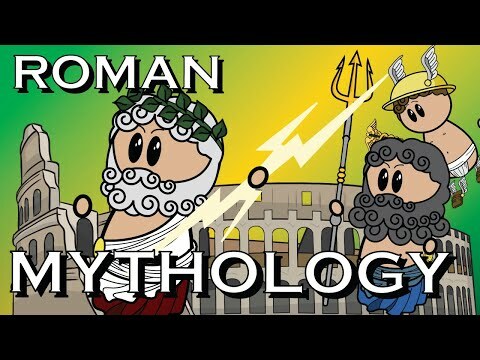 The patricians were the nobles, they had a lot of power. They were politicians and military men, rich and powerful. Below them were the plebeians, the people. They were farmers, artisans and workers in general. 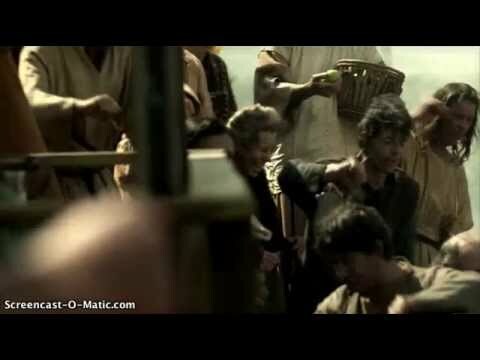 And finally, in the lowest part were the slaves, who used to be prisoners of war. 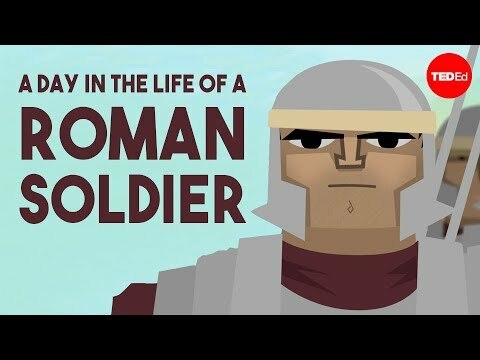 War was a very important activity for the Romans. 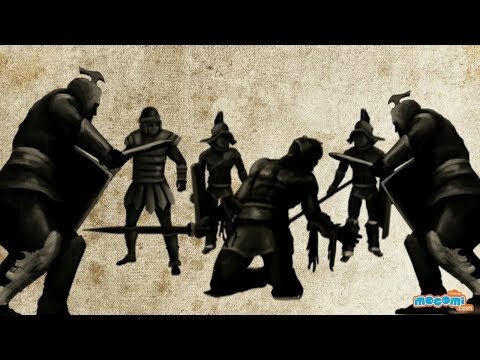 Their armies were huge and formed by fearsome soldiers called legionaries. Thanks to them they conquered all corners of the Mediterranean. The Romans were also great engineers and architects and created very orderly cities with many amenities. 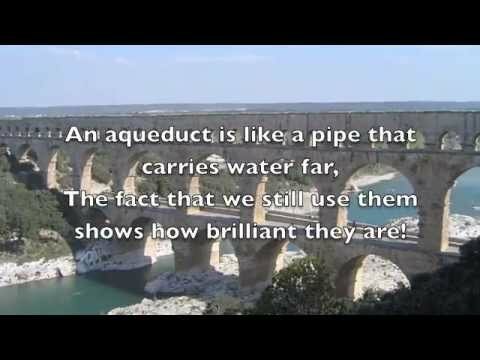 They had aqueducts to carry water from one place to another, bridges to cross rivers, circuses, theatres, spas and schools! Roman children went to school, like us! They also built roads, which were roads that made it easier to get from one side of the Empire to the other. The Roman Empire ended in the fifth century when the Germans invaded Rome. It was at that very moment, with the fall of the Empire, when the Middle Ages began. but that's another story. As we always tell you, it is very important to know the past, to understand the present and improve the future, do not you think? 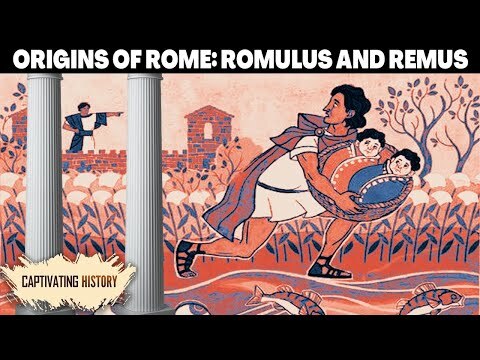 Do you know the legend of Romulus and Remus? 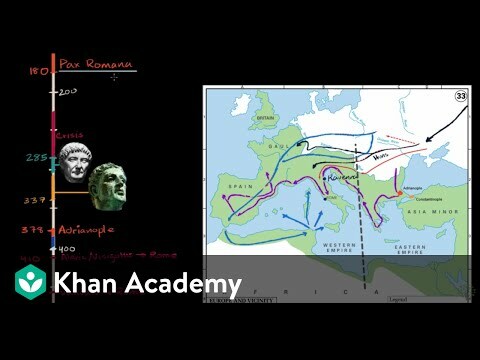 Learn the origin of the Roman Empire and its socio-political organization! 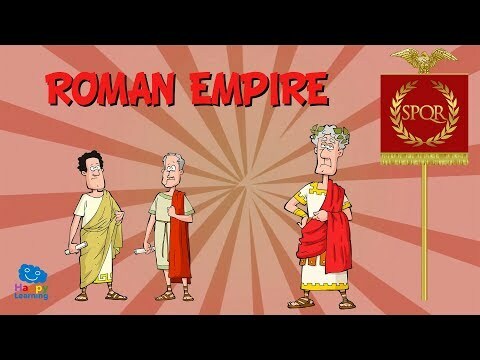 SUBSCRIBE ▶ http://bit.ly/Creators365Sub The Roman Empire is a stage that divides the rich history of Rome, besides this period before we can account the Indo-European expansion, the monarchy and the republic. His legacy is enormous: art, science, architecture and Latin, language, and another major contribution is the Roman law. WATCH MORE ▶ http://bit.ly/Creators365 FOLLOW US: Facebook ▶ http://facebook.com/Aula365 Twitter ▶ http://twitter.com/aula365 Instagram ▶ http://instagram.com/aula365 ----------------------------------------------------- Welcome to Creators365, where emotion is learning to create. Here you will find the most important content for school subjects: Math, Social Sciences, Natural Sciences and Language. Find us at: https://www.aula365.com The funniest learning social network in the world! 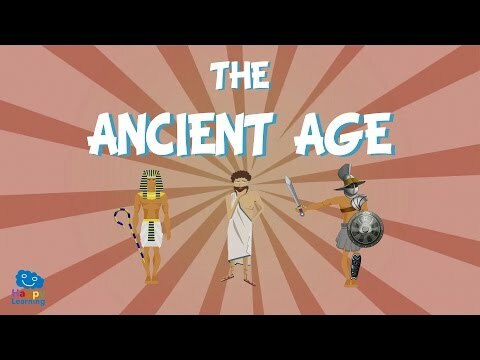 In this Ancient Egypt video lesson for kids, learn about one of the first civilizations in history! 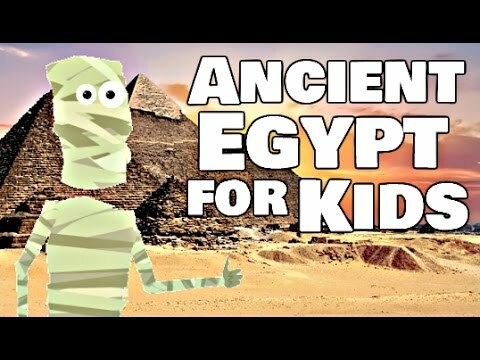 Learn about the Nile River, Pharoahs, the pyramids, mummies and more! ❤ Homeschool Pop? 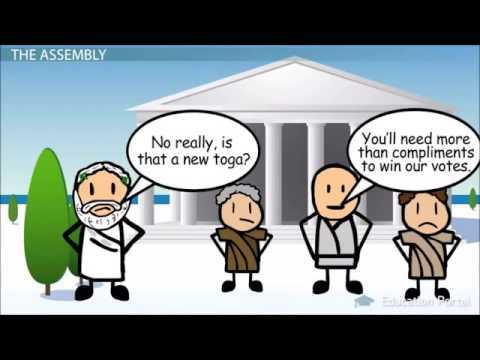 Join our team and get tattoos here: http://homeschoolpop.com Thanks for watching this Homeschool Pop video on Ancient Egypt! If you enjoyed the video, be sure to comment, like and subscribe for more videos and fun! We hope to see you next time! 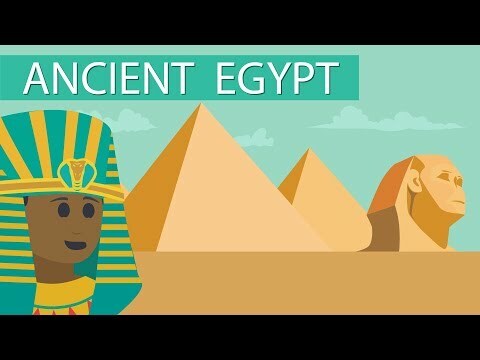 Ancient Egypt for Kids | History Video Lesson! SUBSCRIBE to the OFFICIAL BBC YouTube channel: https://bit.ly/2IXqEIn LAUNCH BBC iPlayer to access Live TV and Box Sets: https://bbc.in/2J18jYJ More about this programme: http://www.bbc.co.uk/history/ Eric visits an archaeological dig and spots something shocking. 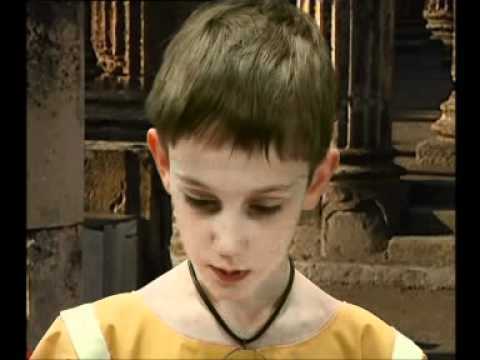 He travels back to Roman Britain, where he lives the life of a rich kid; eating weird food, having fun with his pet duck and trying to wear a toga without embarrassing himself. Eric is played by Daniel Roche from Outnumbered. 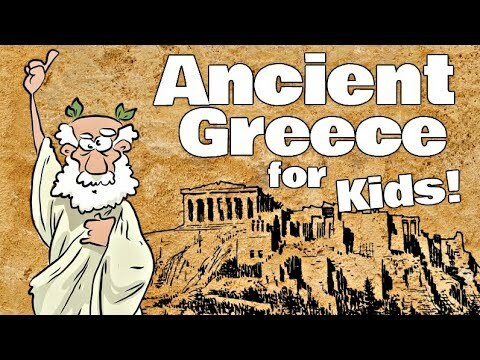 The ancient Age Hello friends and welcome to a new Happy Learning video. 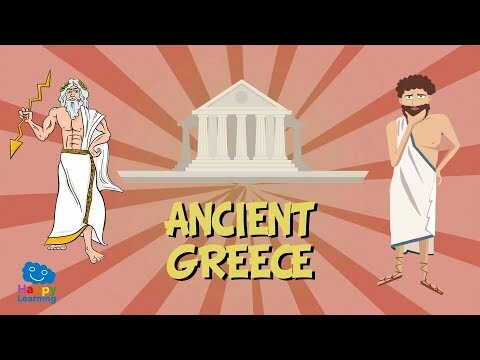 ..Today we are going to learn about the first historical period, let’s learn about the Ancient Age. The Ancient Age began at the end of the Iron Age, that is prehistory, at it starts with the appearance of writing around four thousand years before Christ and ends with the fall of the Western Roman Empire around 500 years after Christ. During this period the first civilizations arose and developed. I am sure you have heard of them…Egypt and its pyramids and pharaohs, Greece and its wise philosophers and the Olympics, Rome and its strong gladiators and vast empire. The main characteristics of the Ancient Age are the following: Urban life begins to develop, the cities grow larger both in size and amount of people. So as to organize these cities, the political power was in the hands of the kings, emperors and pharaohs and they had the maximum authority. The population began to divide into free men and slaves. The free men could enjoy many rights as well as own lands and slaves. The slaves were generally prisoners of war or children born from slaves. They had no rights and always had to do the most difficult jobs. The truth is they led an awful life. In the Ancient Age there were continuous wars and so the art of warfare was developed, though we believe that war has nothing to do with art. Trade between cities grew in relevance, allowing a great intercultural exchange to take place. 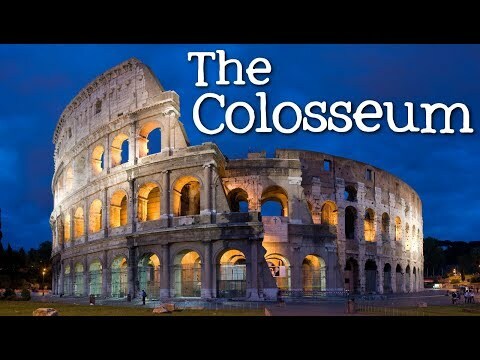 The first architectural wonders arose, such as the Egyptian pyramids, theaters and circuses where fearsome gladiators fought in Rome, the Acropolis with its temples for religious and cultural gatherings in Greece. The truth is that it is really impressive to learn what the people in the Ancient Age managed to do. Happy Learning believes that it is extremely important to investigate the past so as to understand the present and improve the future. Besides it is all hugely fascinating… Goodbye friends…oh! and don’t forget to subscribe to Happy Learning TV. Let me spin you a yarn about the history behind my favorite acronym ever: SPQR. It's Rome time. 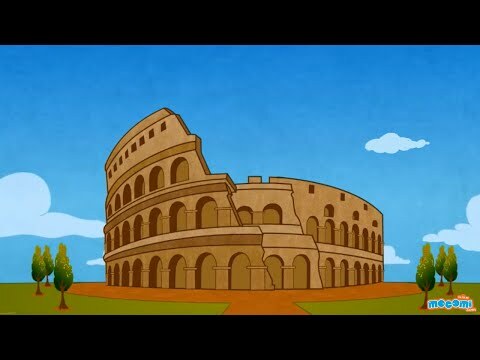 (Yes, I've already made some videos about Rome. This is me replacing those videos with way better videos. Enjoy your nice, shiny new series on Rome! It's the Roma-pocalypse.) Watch the Punic Wars here: https://youtu.be/2yB2_NN7myI PATREON: www.patreon.com/user?u=4664797 MERCH LINKS: Shirts - https://overlysarcasticproducts.threadless.com/designs All the other stuff - http://www.cafepress.com/OverlySarcasticProducts Find us on Twitter @OSPYouTube! 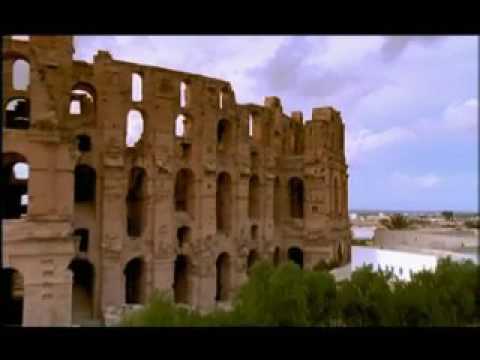 From the documentary "Rome: Engineering an Empire" For education purposes only, no profit is collected from the posting of this video. 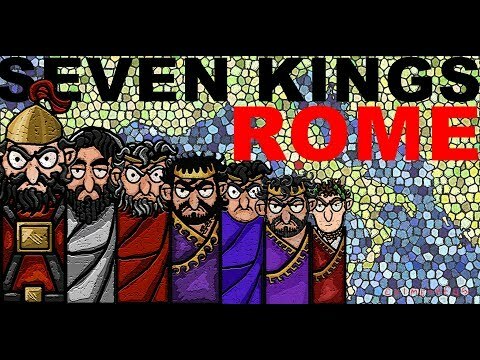 The Seven Kings of Ancient Rome explained in Seven Minutes Epimetheus on Patreon https://www.patreon.com/Epimetheus1776 History documentary on the Kings of ancient Rome from Romulus to Tarquin the proud and the birth of the Roman Republic. 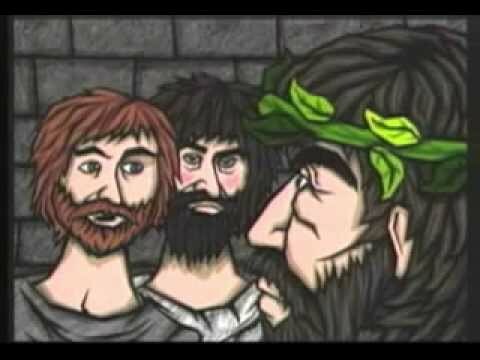 An educational video to learn ancient Roman history for kids or anyone else. 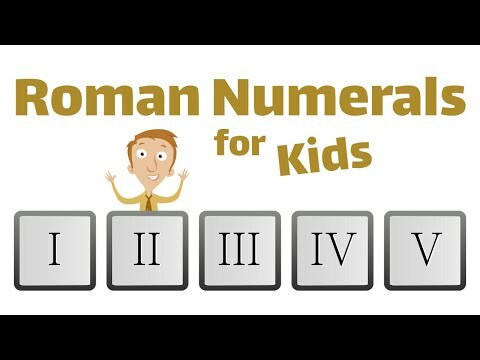 learn all Roman kings in minutes. 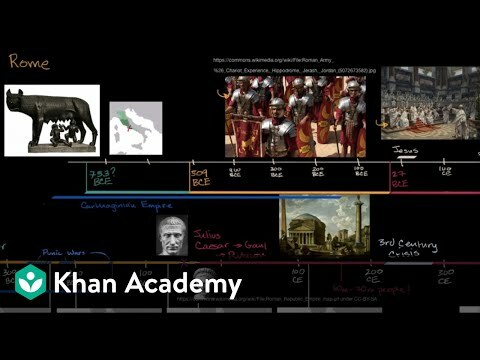 Timeline of Roman kings. 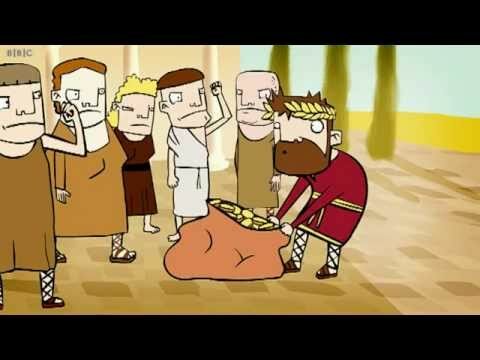 Sign up for our newsletter and never miss an animation: http://bit.ly/TEDEdNewsletter Welcome to the world of Lucius Popidius Secundus, a 17-year old living in Rome in 73 AD. His life is a typical one of arranged marriages, coming-of-age festivals, and communal baths. 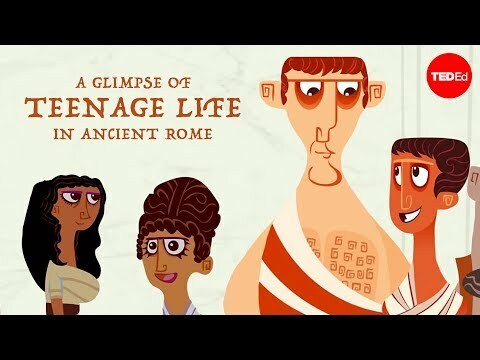 Take a look at this exquisitely detailed lesson on life of a typical Roman teenager two thousand years ago. 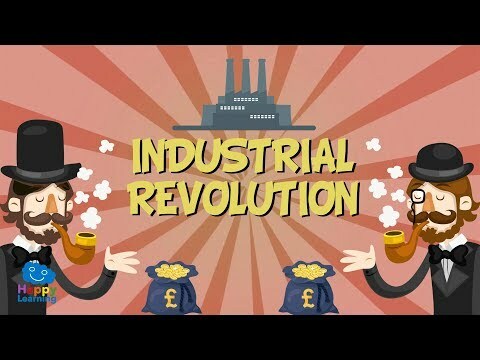 Lesson by Ray Laurence, animation by Cognitive Media. More features: https://www.edyoutoo.com/videos Please keep the comment section classroom-friendly as this video has been created for students and education, thanks! Ancient Egypt lasted a very long time! Here we break down the timeline and geography of their civilization, daily life and education in Egypt and bring the Book of the Dead to life. Our newest EdYouToo character, Fact Robot also breaks down a few myths for us. For information about Ed You Too's adaptive player: https://youtu.be/_9Q2Esef9jE Our website includes more caption options than YouTube, an interactive transcript and three versions of every video. Every video has the Standard version, a Simplified English version and a Watch and Read option. (This is the Standard version.) Watch and Read has no narration and allows for a better caption reading experience, viewers can watch the animation and read the captions separately and teachers and learners can also narrate the video for themselves using the captions. Our videos are hosted on our site edyoutoo.com so if you want to watch them somewhere that YouTube is blocked, we've got you! 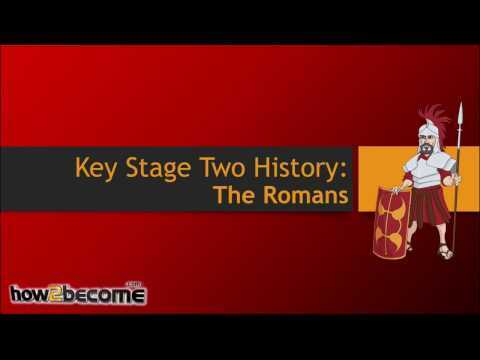 Click here to get access to FREE Key Stage 2 tests: http://www.myeducationaltests.co.uk In our new KS2 History series, Henry from How2Become introduces you to some key facts about the Roman Empire, including some quiz questions to test your knowledge! Romes major events with timeline. poor greeks,foolish england,stupidity france,great selçuklu empire,huge mongol empires and defeated roman empire only OTTOMAN EMPİRE. 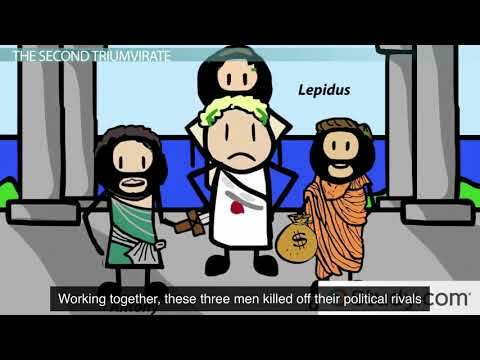 This video gives a chronology of events from the invention of writing to the rise of the Greek empire. For the details see: . 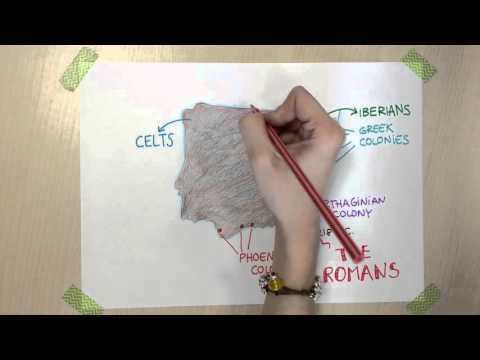 Explanation of how the Romans conquered the Iberian Peninsula and how life was like in Hispania for students in Primary Education. Pensado y creado para alumnos de 4º Ed Primaria de colegio bilingüe. 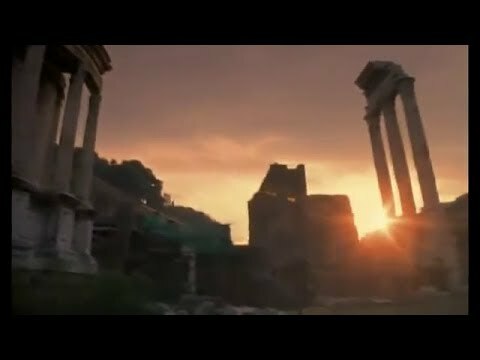 The Roman Empire - Episode 1: The Rise of the Roman Empire (History Documentary) Two thousand years ago, one civilisation held the entire Western world in its grasp. From Northern Europe to Africa, it imposed laws, ideas and a single language. 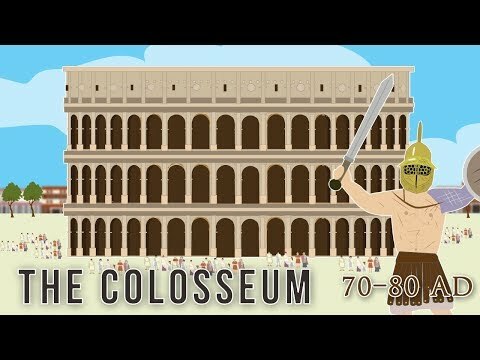 Rome was the super power and a colossal empire. Travel back in time and experience the exporting of the Roman world through the glory years of conquest to the longest period of stability the world has ever known. 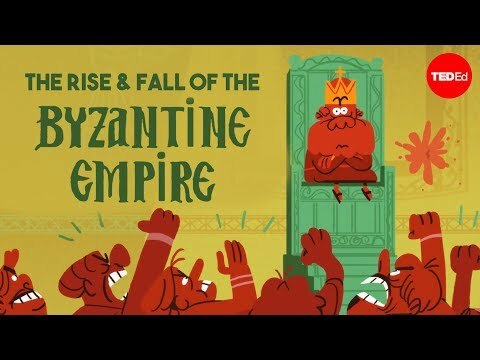 EPISODE 1: RISE OF THE ROMAN EMPIRE Two thousand years ago, one civilisation held the entire Western world in its grasp. From Northern Europe to Africa and the Middle East. It imposed laws, ideas and a single language. 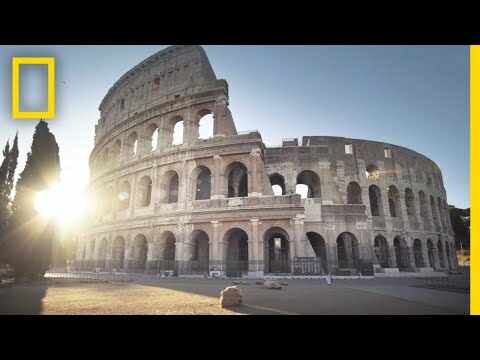 Rome was the super power of the ancient world. Indeed later super powers never stopped learning the lessons of her spectacular rise and fall. Rome truly was a colossal empire. During the rise of the Roman Empire, it was not always easy to separate virtue from vice, or hero from villain. Indeed, all too often, they were one and the same. Rome was still an adolescent discovering who it wanted to be, and its dream of greatness was a prlude to a nightmare. It was not for another 100 years that the state would mature and commit to one enduring view of itself. 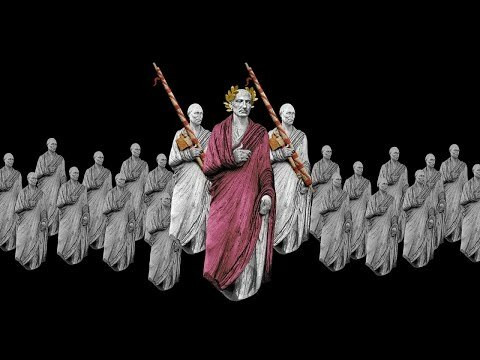 It would be the army, more than any other force that was destined to shape Rome's lasting identity. 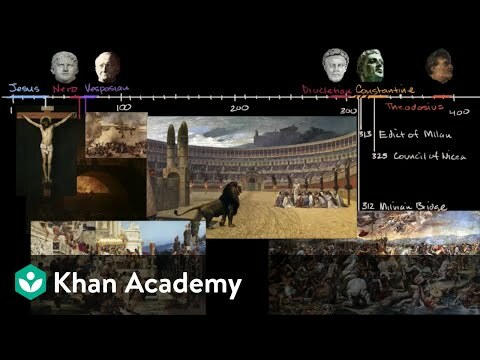 Full video of: The Legacy of the Roman Empire I downloaded this video from a site called ASFMS Social Studies Department Video Inventory http://www.mitchellteachers.org/WorldHistory/AncientRome/Videos/LegacyoftheRomanEmpireSummary.htm Original Producer: Tapestry International Productions for the Discovery Channel Recommended for Grades 6 to 8 I do not own copyright of this video. Sorry for the bad quality.